April Preview: Yuppie Psycho, Dark Devotion, & many more! For the month of April 2019, we have a whole bunch of new cool games for you to discover. We will show you some of them in our preview, but we’d like to keep some surprises up our sleeves. Check out the preview video below, or read the descriptions! 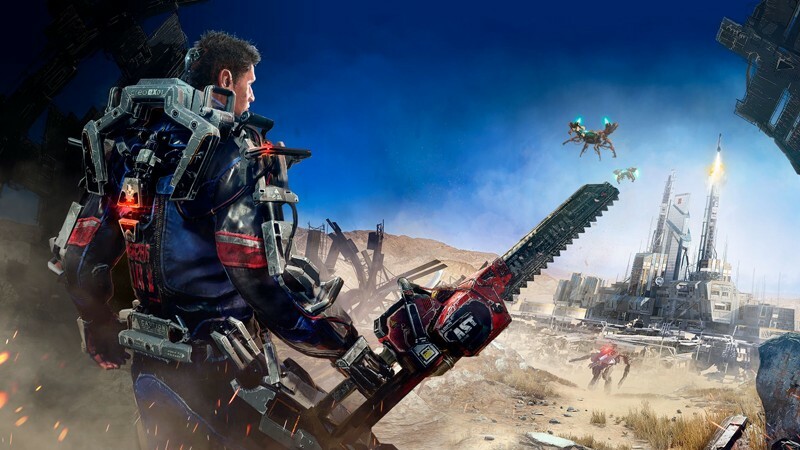 The Surge - Robots have gone haywire, your augmented co-workers became insane, and the AI went rogue! Your first day on the job is definitely one to remember! Jump straight into the action in what’s best described as ‘Dark Souls with Robots’! Yuppie Psycho - This is your first day on the job, but unfortunately you’re uncertain, unprepared, and massively unqualified for what’s to come. This indie horror adventure takes “working” to the next level because your first assignment is… hunting for a ‘witch’! Unravel the hidden secrets of your new employer and escape the terrible creatures that make your office their home. Dark Devotion - This second Day One release is a richly detailed action RPG, with a story of perseverance, dedication, and secrets lets you discover a whole world as you put your Templar’s faith to the test. Measure your devotion and your bravery by journeying into the deepest darkness for answers. Every encounter challenges your fortitude, piety, and conviction as you move deeper into your cursed pilgrimage. Kingdom: New Lands - Kingdom New Lands is the sequel to the award-winning indie puzzle adventure Kingdom. The 2D retro graphics take you back to King’s Quest’s glory days, but the puzzles and adventure story is very modern and engaging. Playing as the king, or queen, you need to keep your subjects safe and sound, by solving all the challenges on your path as you travel the lands. Sigma Theory: Global Cold War - A turn-based strategy game in a futuristic global cold war, from the award-winning creators of Out There. Recruit a squad of special agents and run your intel agency to ensure that it is your nation that reaps the benefits of a paradigm-shifting scientific discovery - called “The Sigma Theory” - before anyone else.